With the present generation getting more inclined to the technological advancements, the students are now already engaged and have integrated technology in their daily lives. So, now it has become very crucial for the educational institutes to implement technology in the classrooms to make learning more interesting, interactive and effective. This coexistence of students, teachers and technology in a classroom will help the teachers to engage students more rather than maintaining the classroom. This integrated space can be called as a digital classroom and it can revolutionize the way students learn. Though some teachers are against the digital classrooms as they fear it may distract the students, the benefits of it are worth mentioning. 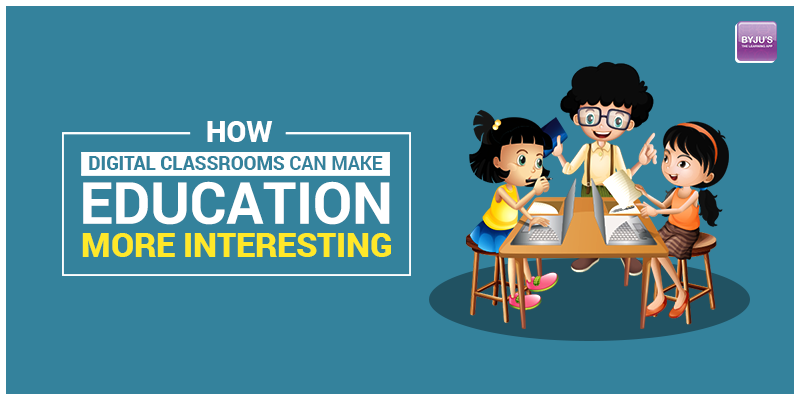 So, we should now know how the digital classrooms can make education more interesting and hence more effective. The teachers can now teach the students with updated and interesting contents to engage the students while learning. Various interactive methodologies (like gamification) can also be implemented to let the students enjoy their learning. As the students get more engaged and interested towards learning new concepts, their visualization improves and therefore they are able to retain more knowledge for a longer period of time. As the students can experience practical relevance to everything they learn, they become more curious and get inclined to perform practical experiments and remain engaged with learning. This can help the students to enhance their scientific skills as they see the practical relevance to whatever they learn in Physics, chemistry or Biology classes. As every student has different abilities and has different approaches towards learning, technology can help the students to learn with their own individual approach involving their speed and knowledge retention. Technology not only caters to the individual needs but also help to promote collaboration and encourage students to get involved with various group activities. The digital learning not only brings the students and teachers together, it also brings the learning from across the globe in a single platform. The students can now be exposed to the global learning strategies which can help them develop individual learning skills and promote further research facilities. Even the students from developing or underdeveloped countries can get acquainted with the latest technological advancements. It is now the educator’s responsibility to familiarize the students with the education technology and enhance their learning process. With digital classrooms, virtual learning environments can be created so that the students can engage themselves in collaborative learning and practical tasks. Subscribe to the Byju’s YouTube channel to learn more such topics by visualizing them and understanding the concepts from the root.